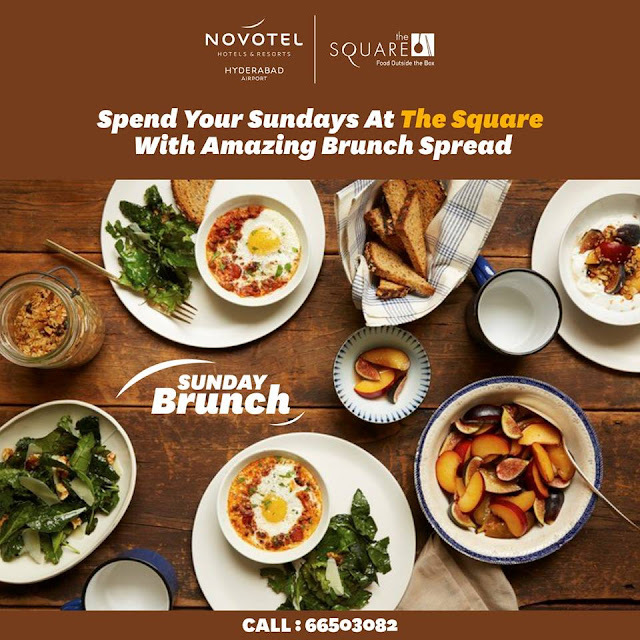 One of the most sought after promotions at Novotel is their Sunday brunch. It is a complete family affair for Hyderabadis who come here after a scenic drive through the Shamshabad airport area. One can plan the brunch after a dip at the adjoining pool and an exclusive children’s area has the kids enthusiastically having fun. 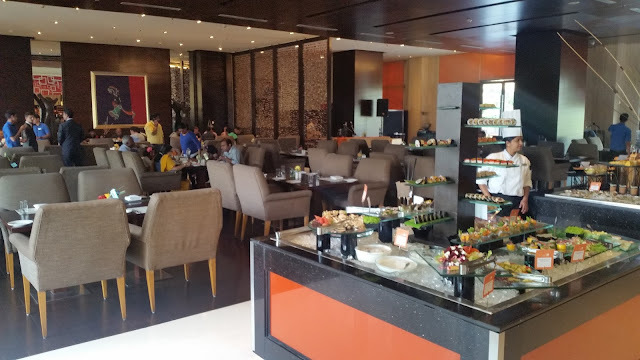 The leisurely brunch can be enjoyed all through four hours in the afternoon, along with select drinks from the menu. Live music is belted out right from the word go, and there is a tattoo artist enthusiastically offering his services right outside the restaurant. The Square has swanky interior seating as well as an open alfresco area. The place can accommodate around hundred people. 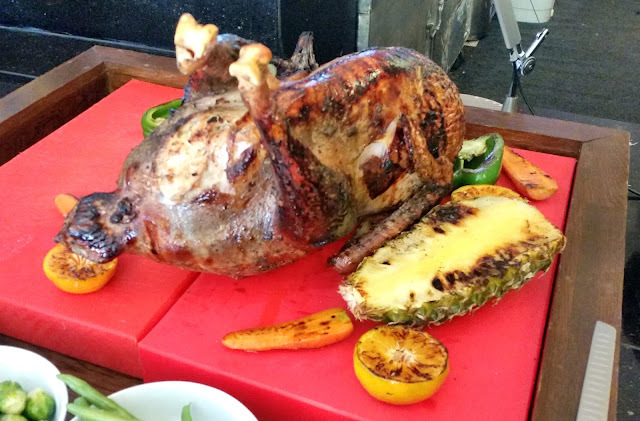 On entering the restaurant, the first thing I noticed was a large Grilled Turkey sitting at the top of the buffet, which looked extremely appetizing. A range of sushis and seafood were laid out next to it. My attention was drawn to the large numbers of oysters and clams which were being served among the cold delicacies. 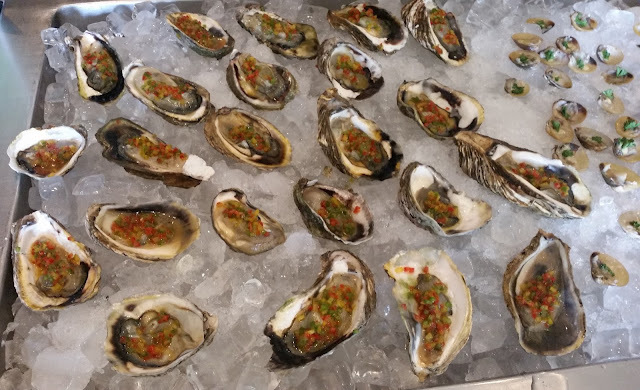 I was told by Sous Chef Unnikrishnan that the oysters were favorites especially with the expatriate airline staff who are regular to the restaurants. A feature of this brunch is that they have a separate Kids Station. Some special menu items were being served for the kids such as spring rolls, doughnuts, cupcakes and brownies. With the special playing area as well as food, the brunch is a bonanza for the kids. The salad counter also had a huge spread. I particularly liked the Potato Scoop with Grilled Prawn Salad, the combination really worked well together. The vegetarian Poached Pears with Cucumber Salad was another item to take note of. 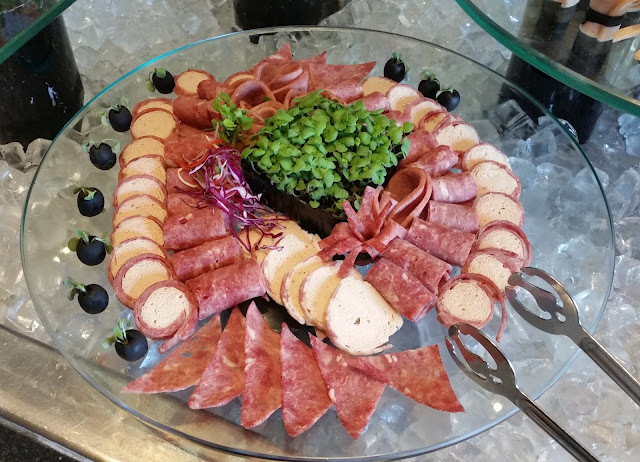 Apart from that, there was a range of cold cuts as well as a Chicken salad with bok choy. The live counter was laid out with many delicious items in an enclosure near the poolside. 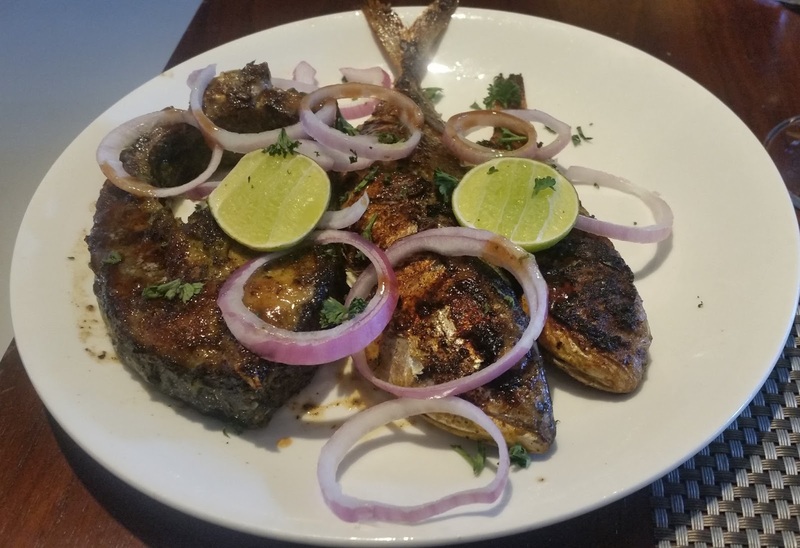 One of the star attractions was Tawa Fish – there were three varieties of fish tossed in different marinades and fried. They were serving both chicken and vegetarian dimsums as well as a variety of sausages – the Pork Sausage was the pick among them. Batter Fried Prawns from the live counter was so good that we kept on popping them in one after another. They also served Kathi Rolls Kolkata style – chicken wrapped in a paratha served with onions and green chillies. I loved the presentation of Layered Vegetables, a finger food which tasted delicious too. Cannelloni De Spinach was also an innovative preparation. There were assorted Tandoori Vegetables, of which a preparation of mushrooms stood out. The pick of the main courses was Braised Fish Steak in Maltaise Sauce. 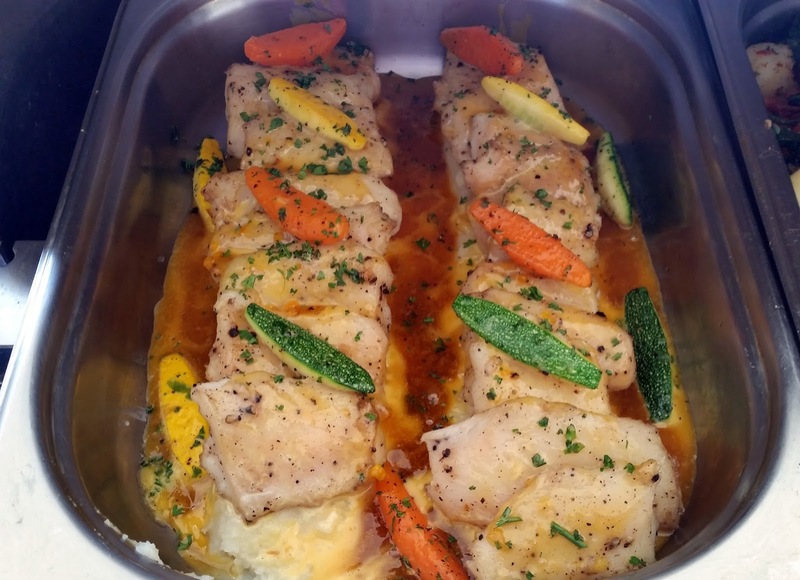 The fish was cut into small pieces and had soaked in the sauces making it a wonderful combination with baked bread. The gravy of Roasted Chicken with Red Wine Poached Tomato was brilliant. There were a few Oriental items in the buffet too. Squid in white wine garlic sauce was the delicious one with the squids prepared exactly to the texture I like. Next I decided to try out the Indian food in the buffet. The Nalli Ka Nihari, a Hyderabadi preparation was enjoyed with bread rolls. 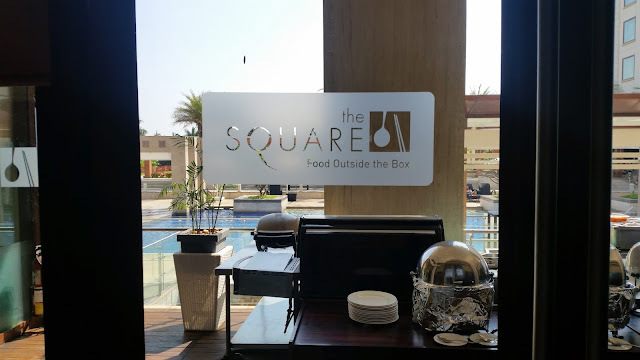 There was a live tandoor in the main hall itself dishing out various Indian breads – my choice was a Laccha Paratha, on recommendation from the chef, and this was the perfect foil for the Rara Murgh, a dish which had both chicken pieces as well as keema cooked in a spicy gravy. The Bengali in me could not resist sampling a little bit of Chingri Machher Malaikari with steamed rice. The Mutton Biryani was the only disappointment, a trifle too dry and bland. After such a lavish brunch I hardly had any space for desserts. On recommendations from Chef Unni, I tried out Baileys Decadence, a dessert with Irish cream in it. Cream Caramel was another dessert of note. 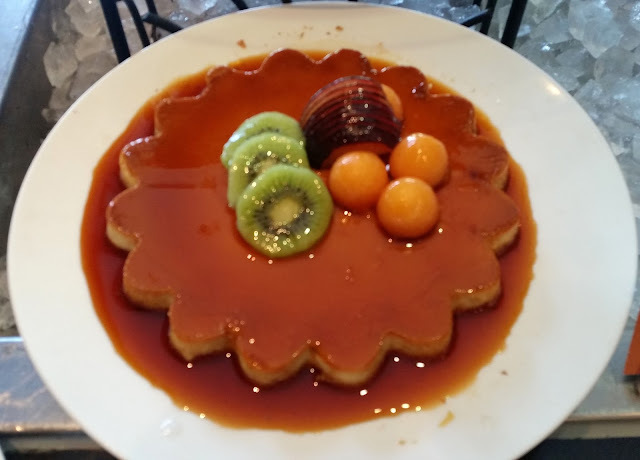 The buffet had a large spread of desserts, which included a variety of mousses, Lamington, fruit tarts as well as a range of Indian sweets. This brunch is ideal to spend a leisurely Sunday afternoon after a hectic week. The spread is quite good and most of the items are very well prepared. Service is prompt without being intrusive and the wait staff seemed quite knowledgeable. 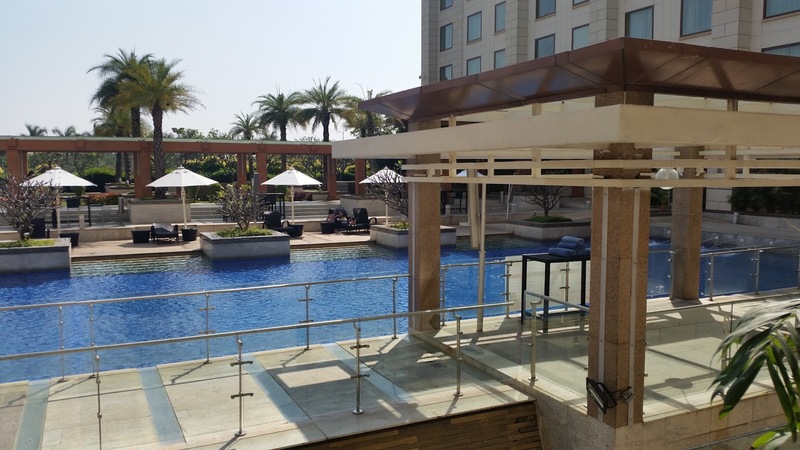 The brunch, which includes alcohol, is priced at Rs 2000 plus taxes and includes the use of the swimming pool.